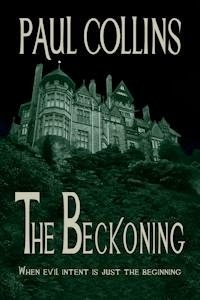 The Beckoning is Paul’s first adult novel. He is also the publisher at Ford Street Publishing. He has black belts in both ju jitsu and taekwondo – this experience can be seen in many of his books. You’re currently promoting not one but two books. Can you tell us a bit about them? Special Agent Maximus Black excels at everything he attempts. Recruited by the Regis Imperium Mentatis when he was just fifteen, he is the youngest cadet ever to become a RIM agent. Of course, being a certified sociopath helps. He rises quickly through the ranks, doing whatever it takes to gain promotion. This includes murdering the doctor who has certified him, as well as a RIM colonel who Black deems to be more useful dead than alive. In the three years Maximus has been with RIM he has only met his match once: Anneke Longshadow, another RIM agent. Every bit his match, Anneke eludes the traps Black sets for her. Born on Normansk, a planet with 1.9 gravity, Anneke is more than capable of defending herself against Black’s hired help, the insectoid Envoy, his professional mercenary and hitman, Kilroy, and a plethora of other bad guys. 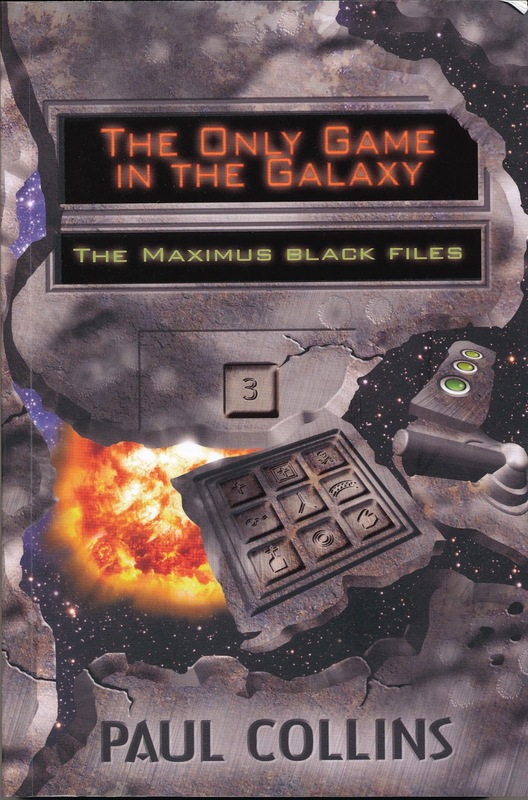 Maximus needs to find three sets of lost coordinates to rediscover an armada of powerful and unbeatable dreadnoughts, long since put into mothballs by the sentinels whose job it is to keep peace and harmony in the ever expanding universe. Power-hungry, Black usurps the throne of Quesada, a powerful crime syndicate. His ultimate aim is to replace the Galaxy gatekeepers, RIM, with his own organization. Matching him step by step, Anneke collects as her allies all those who Maximus has deposed in his march to becoming ruler of the universe. The Beckoning is a horror novel published by Damnation Books. It’s just been released via Amazon http://tinyurl.com/ny6urwy. I wrote it about 30 years ago and sent it around major publishers. No one was interested in taking it on. Over the years I typed it up again and saved in onto my first computer. It’s been on 3.5 discs, floppies, CDs, zip drives and USB sticks. I occasionally revised it and tried selling it to no avail. I was reading Buzz Words recently and saw that Damnation Books was open to submissions. With nothing to lose I submitted the first three chapters. They asked to read the entire MS and within two weeks had accepted it. Brother Desmond knows that the power within Briony Brannigan is the remaining key he needs to enter the next dimension. With her power in his control, he will have access to all that is presently denied him. He conjures a being that unleashes a cold snap and murders Matt’s wife. Luckily for Matt, he’s out that night, letting off steam with some friends. He arrives home to find his daughter, Briony, collapsed at the bottom of the stairs, and his wife’s frozen body upstairs. Briony is led into the sect by Brother Desmond’s disciples. She is easily manipulated, or so the Zarathustrans believe. Matt tries to drag her out of the headquarters with a Care and Protection Application. Unfortunately for him a precedent has already been set in Sydney and the law is unwilling to enter Modewood in fear of litigation. What major changes to the publishing industry have you seen during your career? The Digital Age has basically turned the book industry upside down. There are pluses and minuses. I see a minus in the fact that booksellers are closing their doors because people can get books quicker and cheaper via the internet; libraries that once bought books now can borrow from other systems – not only print but digital. So a cluster of libraries these days needs only one book to share, whereas once upon a time individually they would each purchase copies. Authors obviously miss out on royalties, publishers miss out on sales. Via the Internet people can self-publish virtually without financial outlay. Unfortunately, these books are generally unedited and poorly written. People purchase them for as little as $1 – often for free. This obviously takes away sales from writers whose careers rely on sales, it deducts from publishers and booksellers – it affects many, many more people. Pluses include getting a wider distribution for titles. For example, Amazon that would not stock my Jelindel Chronicles now promotes them. Print-on-Demand is great in as much that many out-of-print books can now be purchased. The downside is for everyone purchasing an old book, a newer author is missing out on a potential sale. We’re seeing major companies swallow one another up, and lists shrink. Major publishers are trying to eliminate their B lists, which of course affects thousands of authors across the world, not to mention editors, sales reps, etc, who are now without authors and books to deal with. This is a huge topic, one that can’t be fully answered here. Your books usually have humor, either black or otherwise. How important is this to your work? Humor is a natural ingredient that authors either have or they don’t. I never deliberately set out to write comedy. I might think of a line that makes me laugh as I type it. Sometimes editors take these lines out, so perhaps they’re not funny to everyone. Humor is a very subjective thing. Having said that, I did set out to write one humorous book, and that was The Slightly Skewed Life of Toby Chrysler (Celapene Press). You’re both an author and a publisher. Do these occupations conflict? You also have Creative Net, a speakers’ agency. How do all these meld? I generally have to prioritize. If there’s a publishing deadline and I’m behind in editing a book, all else has to be put aside. If I’m writing a series such as Lucy Lee and the editor reminds me I still owe two books, the publishing activities have to step aside. When librarians email me to book an author or illustrator for their school, I drop everything and get on to it immediately. So it’s a constant juggling act. Cross-subsidization is the only way forward in this industry, so far as I can see. All of these career paths aren’t hugely successful by themselves, but together they work very well. As an example, I don’t charge libraries a booking fee, which is a big saving to them. But by offering this service, librarians go to the Ford Street site and see the books I have on offer. On occasion, they offer work to authors and illustrators who I publish, so I’m helping promote both my authors/illustrators as well as sell their books via Creative Net. What are you concentrating on now? And your plans for the future? I’m writing the final Lucy Lee books for Macmillan’s Legends in Their Own Lunch Box series. There are six Lucy books, with maybe more to come if the series takes off. I’d love to work from a proper office rather than my home. I think that’s the next big stage for me. I don’t really have any time to write books these days. Maybe I’ll write some Jelindel short stories – I have a novella sitting on my desktop glaring at me to finish it. I also have a series called Broken Magic. This is on submission right now. I have one or two novels lying about that I think are publishable, but that’s all I have. As mentioned, maybe I’ll write some more Lucy Lee books if the series is a hit – they’re not much longer than short stories and are fun to write. 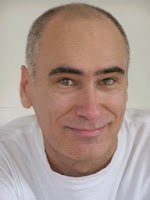 Thank you to Paul Collins for this fascinating interview. It's interesting to read about Paul's different roles as author, publisher and speaker's agent. All the best Paul. We wish you every success! When I was a boy, I was a huge fan of The Hobbit and The Lord of the Rings. I loved the way Tolkien bestowed fairy-tale creatures and monsters with their own cultures and characteristics. Dwarves were gruff, bearded, hard-toiling working class fellows who loved wielding battle-axes and digging for gold deep underground. Elves were flaxen-haired Scandinavian types with pointy ears, long lives, speedy reflexes, enigmatic personalities, melodic language and a love of forests and archery. It was easy to tell that orcs and goblins were evil because they preferred dark places, were handsomely-challenged and swarmed in massive numbers. Even their language bristled with harsh, guttural sounds. Unfortunately, and here I risk the equivalent of a literary lynching, I believe Tolkien’s tales reveal their age. Powerful females are noticeably thin on the Middle Earth ground. The different races contain a range of easily-scratched racist stereotypes and a lack of shading in all but the major characters. As for style, Tolkien wrote more like an author from the middle of the Nineteenth Century than the Twentieth. Despite my fatherly reading zeal, my own Twenty-first Century children tended to sneak from the room before the story progressed beyond Tolkien’s traditional leisurely openings and invariably obtuse prose. More unfortunate is the massive shadow that Tolkien has cast over the genre of fantasy. From Dungeons and Dragons to Eragon and beyond, so many fantasy stories follow the Tolkien blue-print. The setting is always Medieval, with lots of swords, bows and battle-axes. The same species and archetypes recur – not just goblins, elves and dwarves, but also human rangers, at one with nature; gold (and maiden) loving dragons; bearded and robed magicians, and behind all the badness, a powerful and utterly corrupted dark lord. If you read enough fantasy, this formula can grow boring and predictable with celerity. I used to wonder: was it possible to write fresh fantasy, to create truly modern stories about goblins, trolls and dragons? Of course the answer is a resounding “Yes!” On the best-seller front, the Harry Potter and Artemis Fowl series both do so brilliantly, while the Disc World series magnificently mocks so many stale fantasy conventions. Unless I gave them no choice. That’s where imagination comes in – to not only make a story idea feasible, but even better, remarkable. I considered a range of options. Finally I came up with what I thought was the best way to force a bunch of species to live in a single area, while also commenting on the world we live in: flooding. So, global warming caused my ocean levels to rise until only a single plateau remained. Sure, there’s no such plateau on Earth, but this is the future and/or a parallel but not exactly the same Earth or… well, the story just wouldn’t work with half the cast clinging to a frosty rock atop Mount Everest. But where did the monsters come from? The easy answer is: they were always here. They just kept a low profile while humans ruled the Earth. But when the flooding came, when humans fought each other and human rule crumbled, the monsters returned with a vengeance. The hardest part of creating the City of Monsters was figuring out which monsters would receive major character status. There are many western monster classics that I didn’t want to leave out because they’re so recognisable and so much fun: besides all the classics from The Lord of the Rings, there are also ogres, vampires, mummies, and zombies. But I also wanted to make this story a global one, so my short list included monsters from every culture and part of the world: wokolos, super-powered children from Mali; azemans, skin-shedding lady vampires from Surinam; aniwyes (giant skunks) from the Great Lakes area of North America; and swamp-dwelling bunyips from Australia. Before I wrote a single word of my novel, I planned my world and city for two years. I still have no idea if I succeeded in writing a Lord of the Rings for the new millennium; but at least I can’t be accused of lacking ambition! 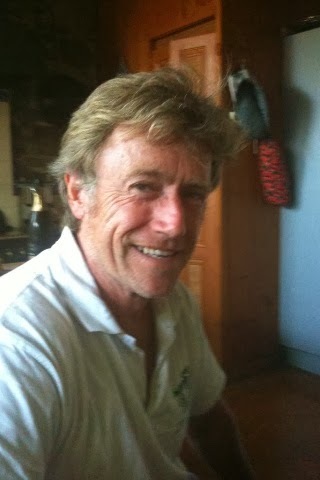 DC Green is an award-winning surf journalist and the author of six children’s books, including the Erasmus James fantasy series and Stinky Squad. His new novel, Monster School, has won two pre-publication awards and been hailed as ‘a wild, wise-cracking ride’ by Ian Irvine, and ‘a monster mash of hilariously epic proportions’ by Sue Warren. 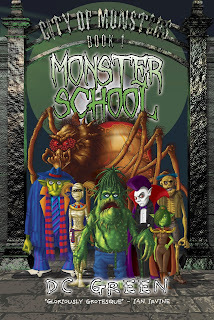 Thanks for visiting my blog, DC Green, and all the best with Monster School. I love this book. I can honestly say that this is one book I wish I'd written. It's fantastic! 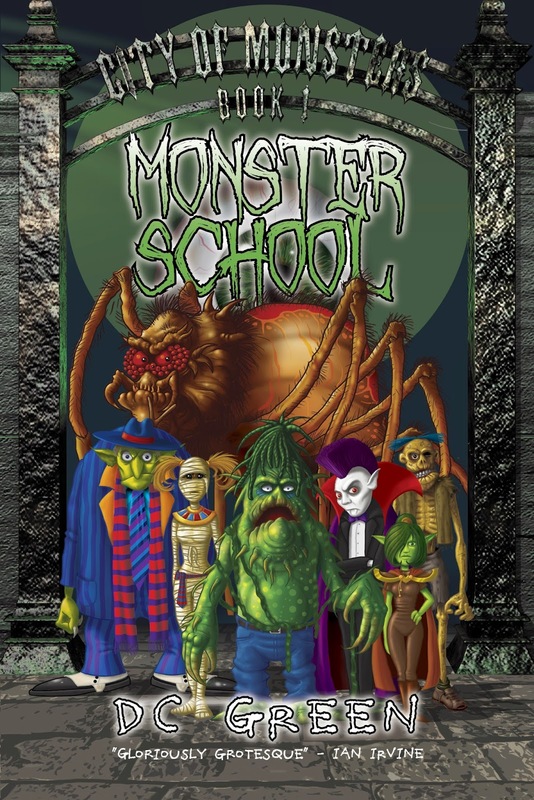 To celebrate the publication of DC Green's new novel, Monster School, he’ll be touring some wonderful author and writing blogs. There will be tonnes of insights into the writing process with topics ranging from world building to creating monstrous characters. DC will happily answer any posted questions (such as, "What’s it like sitting at the desk next to a giant spider called Bruce?"). And yes, there will be laughter – and giveaways! Below are the Monster Blog Tour dates and destinations, plus handy links for buying Monster School in kindle or paperback format. And if you have missed any of the blog stops to date, just click on the respective links. Thursday, October 3. Dee White. World building. Friday, October 4. Erin O’Hara. Zany question time. Saturday, October 5. Tania McCartney. 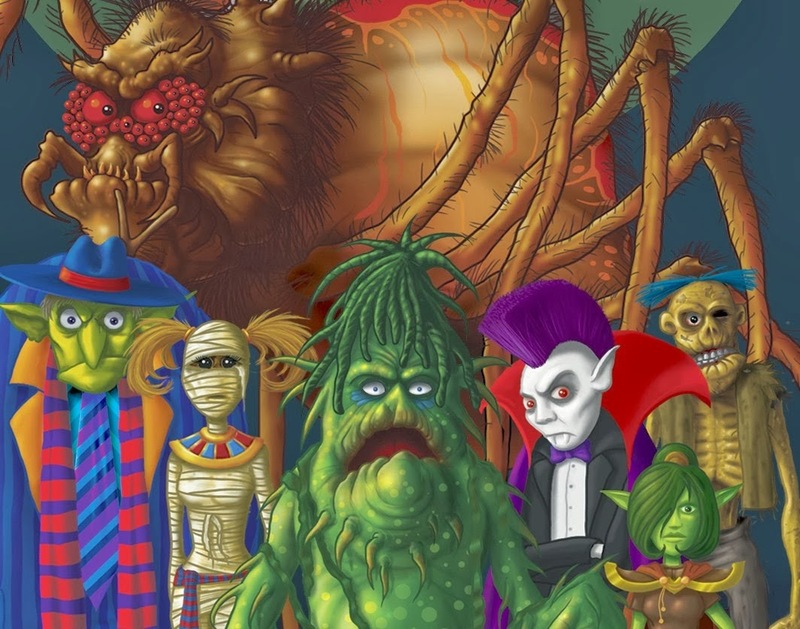 Monstrous author interview. Sunday, October 6. Ian Irvine. Plotters versus Pantsers. Monday, October 7. Pass It On. Groovy reviews. Tuesday, October 8. Michael Gerard Bauer. Writing the perfect first page. Wednesday, October 9. Robyn Opie Parnell. Writing a 21st Century Lord of the Rings. Thursday, October 10. George Ivanoff. Writing monstrous characters. Friday, October 11. Helen Ross. Mixing words and art. Saturday, October 12. Wrap party with prizes at my DC Green Author page!